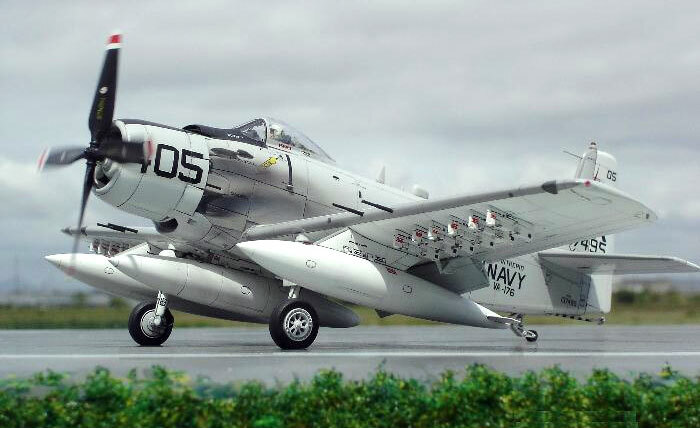 Here is my 1/72 scale A-1H Skyraider based on the Hasegawa kit. This is a beautiful old kit and it is possible to upgrade it to a high standard. I created most of the markings using home-made paper masks. The markings were then sprayed through the masks. As alwas, the background is the real sky. 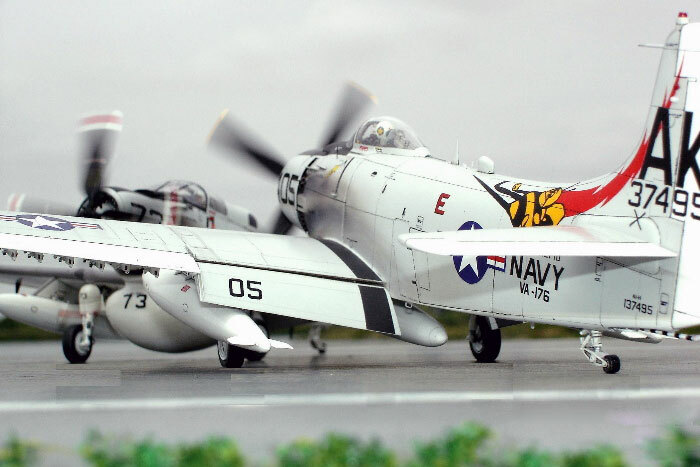 I hope that you will enjoy my Skyraider.